Yumeji is a purpose built and styled Japanese retreat, set in rainforests of the Gold Coast Hinterland. 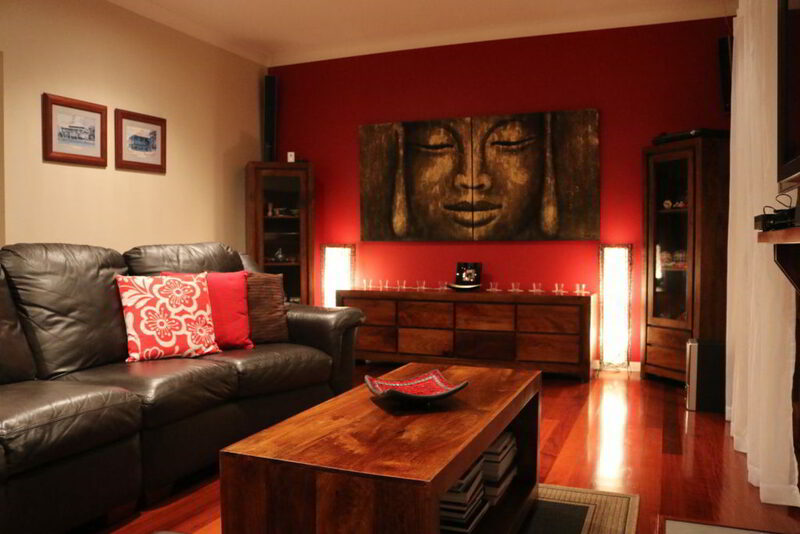 A comfortable area for guests to share, the living area is decorated in a modern Asian/ Australian style. With a TV, surround sound, 4 seater lounge and coffee table, guests are free to peruse the selection of books, DVDs and games available and on cold winter nights the log fire is especially appealing. Guests are welcome to spend time in our Japanese dining area overlooking the courtyard garden. 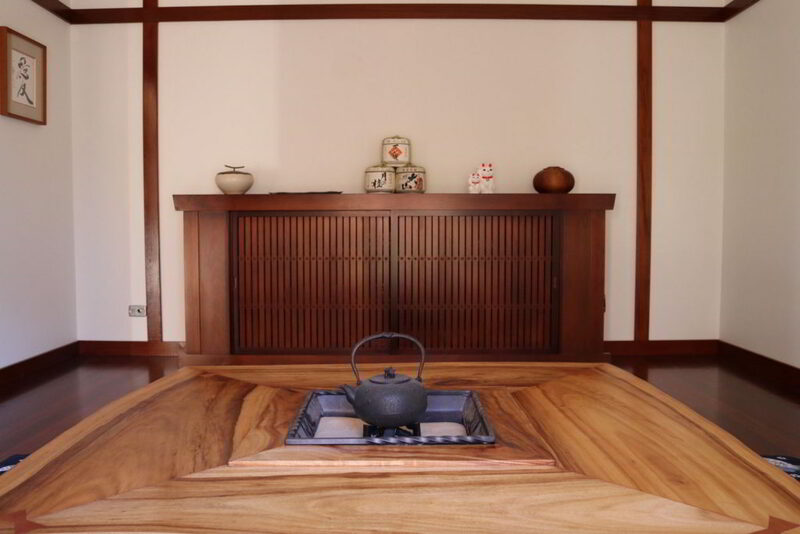 The sunken table with hearth provides a comfortable place to sit and relax and talk about your day. 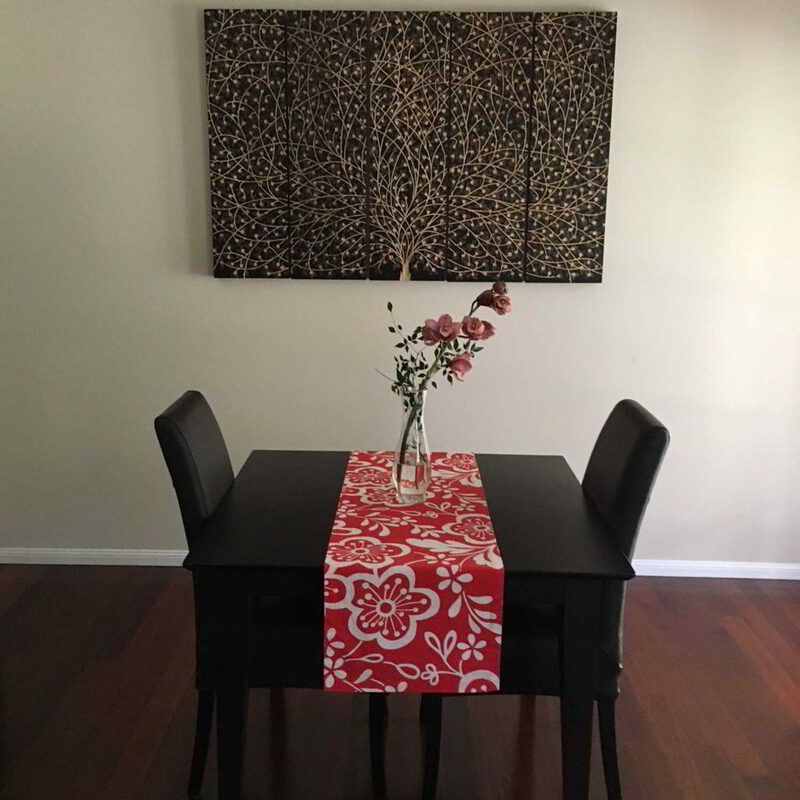 Breakfast will be served here daily, but guests do have the choice to eat at a table in our formal dining area if they so prefer. 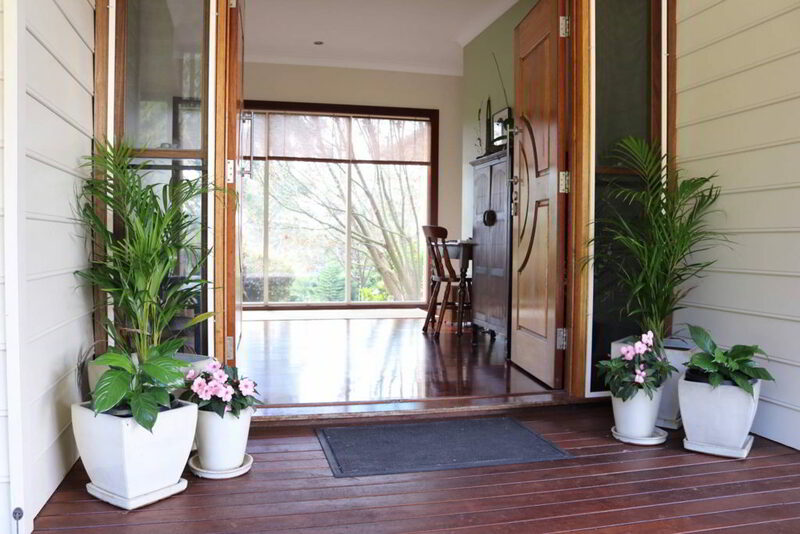 The dining room is a spacious, light area with double French doors opening out onto the veranda. There is also a fireplace to warm cold winter mornings. On entering the foyer, there are large picture windows looking out to the Japanese courtyard garden. There is a cupboard to place your shoes on arrival and guests will be provided with slippers to wear. The dining areas are located to the left and to the right are the lounge and guest rooms. Outside the guest rooms, a shared tea and coffee making area is located. A fridge is available for guests to store small items if required. Cups and complementary tea, coffee and biscuits are provided in each room.